Earlier this year, the staff team at Tommies Childcare took part in something called the ‘b-Heard Survey’, which is run by an organisation called Best Companies. 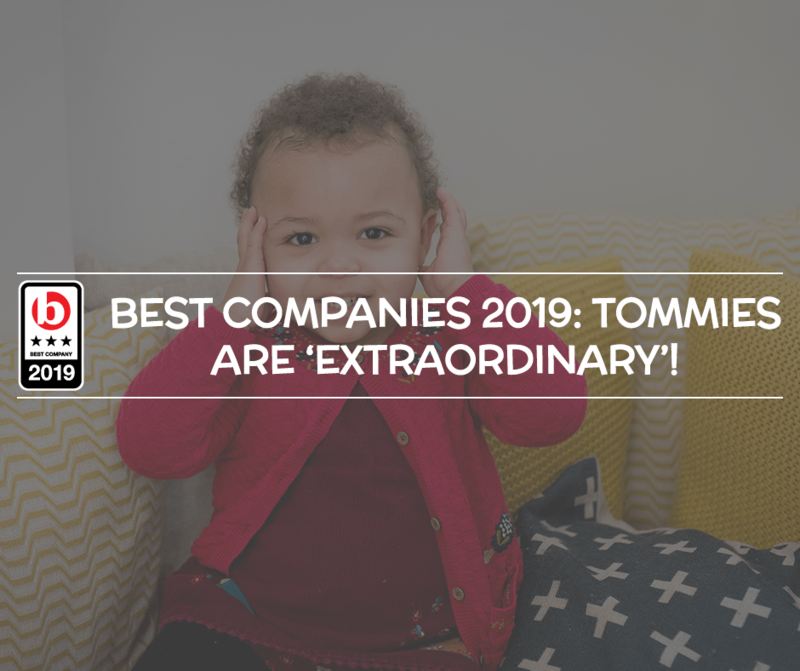 The results of the survey have since been published, and Tommies Childcare has been awarded a 3 Star Best Companies accreditation for 2019. This is the highest possible accreditation a company can receive from this survey, which means that staff at Tommies Childcare have ‘extraordinary’ levels of staff engagement. Why is the Best Companies Survey important? While this is a fantastic achievement for the staff at Tommies Childcare, it is great news for parents and children as well. An engaged workforce is more motivated and productive because people take pride in what they are doing and have faith in those around them. This means that, for the children at Tommies Childcare nurseries, they are cared for by someone who feels connected to the values of the company. They believe in the organisation’s commitment to giving children the best possible start to their pre-school education. To find out more about Best Companies and the b-Heard Survey, please visit their website.